Tuna bagel with cucumber, red onion and capers. Perfect as lunch or snack. 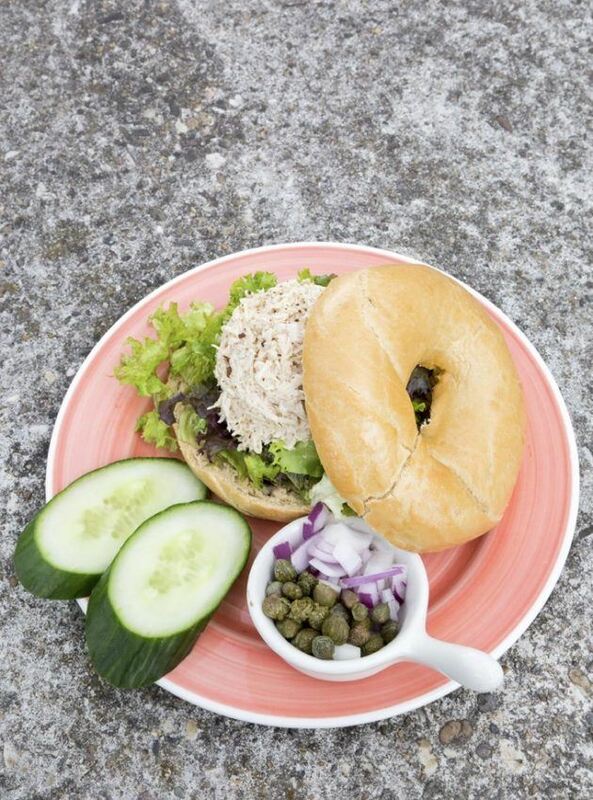 This recipe is inspired by Bagels & Beans, where they use our Fish Tales tuna! Make the tuna spread by mixing the drained tuna with the shallot, capers, mustard, mayonnaise and parsley. Season with salt and pepper. Cut the bagels horizontally in half and divide the lettuse over the 4 bagels and put the tuna spread on top. Garnish the bagel with cucumber and red onion.